It feeds on a wide variety of fruits and flowers, both wild and cultivated. It travels long distances, up to 150 km to and from its roost, a night in search of fleshy berries. 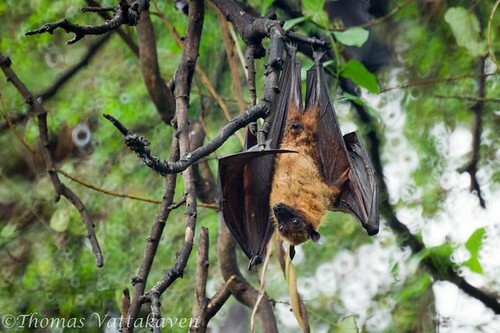 It is nocturnal like most other bats. They reproduce sexually and give live birth. They have one to two young. 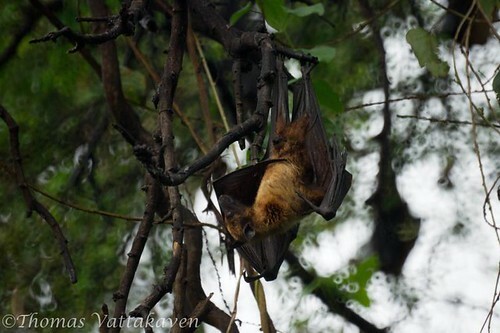 The Indian Flying-Fox lives in tropical forests and swamps, where there is a large body of water nearby. 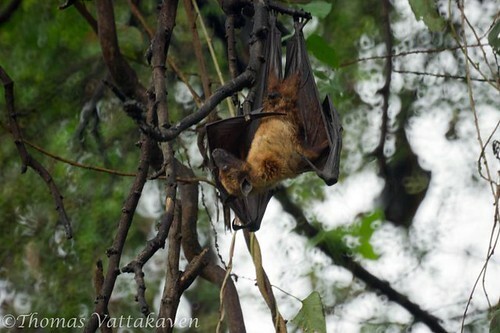 This is one of the most persecuted fruit bats in South Asia.